Atlanta’s Attorney General Chris Carr announced in October that Georgia and 48 other states, plus the District of Columbia, reached a $120 million settlement with General Motors over safety issues with their ignition switches. 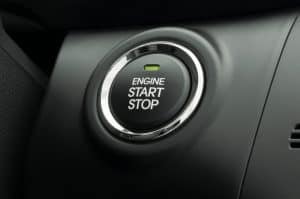 The settlement comes after allegations that GM concealed the defect, which caused some vehicles to suddenly lose their electrical systems, resulting in loss of power steering and brakes, and failure of airbag deployment. GM was plagued with hundreds of lawsuits spanning a decade, which left 124 dead and hundreds more injured. The $120 million comes on top of previous settlements of an estimated $2.5 billion, including a $900 million settlement for a U.S. Department of Justice case, according to USA Today. When the government announced this million-dollar settlement in 2015, they commended GM for taking responsibility for their conduct. Yet in the same press release, they also stated that engineers at GM knew about the defective product back in 2002, but did not begin recalling vehicles until 2014. The company may not advertise or represent a vehicle as “safe” unless it complies with Federal Motor Vehicle Safety Standards. The company can only represent certified pre-owned vehicles as “safe” if they do not have open recalls or if those recalls have been addressed. The company must instruct all its dealers that all recall repairs have to be made before a vehicle can be sold in the United States. Defective products are not just harmless mistakes in the design and manufacturing of vehicles. They constitute extreme danger that often leads to hundreds of deaths and injuries that could have been avoided. In many cases, a legal battle is your only recourse to hold the auto manufacturer accountable. GM ultimately filed for bankruptcy, necessitating a government bailout, and the cases have taken a number of years to resolve, despite many unnecessary injuries and deaths due to the faulty ignition switches in its vehicles. When a company allows a defective product to stay on the market because they value profit over safety, it is crucial that they are held accountable. At Harris Lowry Manton LLP, our attorneys are experienced in this complicated area of law and are ready to assist you with your case. To arrange a no-obligation consultation, call us at 404-998-8847 at our Atlanta office, or in Savannah at 912-417-3774, or fill out our contact form.